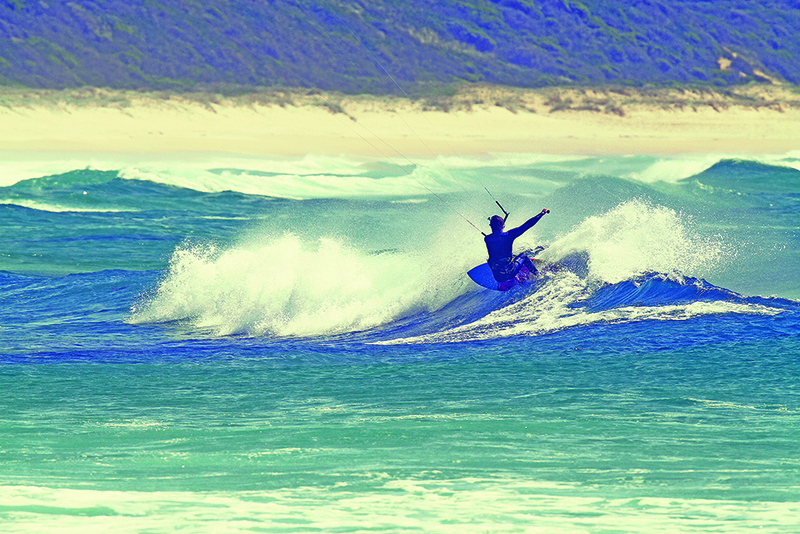 The far south coast of New South Wales holds a wealth of potential for kiters and surfers alike. Located an easy drive from Canberra and Sydney, this exclusive camping grill provides the perfect opportunity to do what you love without the hassle of travelling overseas. 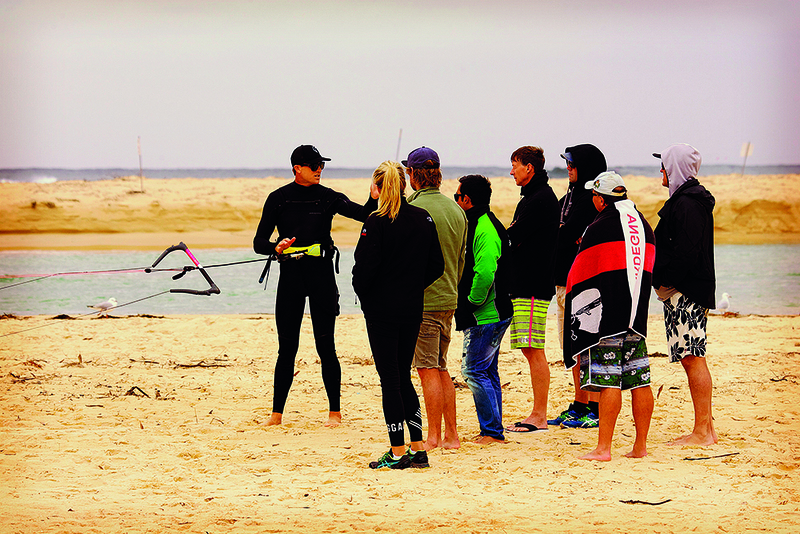 Kite instruction is the focus here and Ben Wilson aims to share as much knowledge with you as possible over the five full coaching days. Each day Ben takes students through a theory session before hitting the water when the wind picks up in the afternoons. Ben’s sessions are practised and fine tuned while being tailored to suit the needs of each student. Over the last ten years, Ben has taught over 5,000 students so you know you’re in good hands. The sessions are geared for intermediate to advanced kiters who are looking to improve wave-riding skills and take everything to the next level. Most students want to focus on kite positioning, riding toeside, body technique and positioning, transitioning from strapped to strapless, strapless airs and riding un-hooked. or an activity of your choice. > Ben’s theory sessions commence around 11am before a break for lunch at 12:30. > Practical kitesurfing sessions begin around 13:30 when the wind comes up. > Checkout is 10am on Monday. Best time for wind and swell? In Ben’s experience the best months are September to April. November is historically a great time for both wind and swell. The location is ideally situated to catch wind and surf from both the south and north, meaning there’s usually somewhere to surf and kite in any conditions. Water temperature? What wetsuit should I bring? Depending on ocean currents and wind directions, the temperature can be quite warm or cold. We recommend bringing a few wetsuit options to suit – a 3/2 full suit and something lighter such as a long sleeved vest. Strength of wind? It can be any strength, but normally about 15-20 knots and we mostly ride on 8m – 10m kites. Do I need kitesurfing experience? Yes. Can you ride a twin tip? Yes there are some nice flat water spots however we will be focusing on wave riding. What are the waves like? Depending on swell size there is any type of that you want – long and hollow, or short and fun. The shape of the land means there’s normally a wave in any wind direction. After a long day surfing and kiting you can look forward to a barbeque on grill for camping with lots of salads prepared by nutritionist and yoga teacher, Sasha Hutchinson. Dinners are a time to get together and unwind before retreating to your beachside cabin. In the morning you can wake up and look out the window to check the surf – these are absolute beachfront cabins, after all. There are a few surf breaks within easy walking distance and a river that’s great for a relaxing SUP or fishing (snagged a lovely salmon last year). A dedicated photographer is on hand throughout the camp to capture memories as well as gather video footage for Ben’s vital video feedback sessions. > Three BBQ-style meals daily plus beverages, including beer. > We cater for a range of dietary requirements, just let us know. > Photography and video. All your photos and video will be provided on USB at the end of the week. Location: Secret location on the south coast of New South Wales around three hours drive from Sydney. BYO kitesurfing equipment. Transfers and flights are not included. Prices start at $2390. Visit www.benwilsoncoaching.com for more details.